Graphics-related research at Caltech primarily focuses on the mathematical foundations of computer graphics. Caltech's research explores and develops new approaches to modeling, rendering, simulation and scientific visualization, and is highly connected to our work on human/computer interaction. New methods are needed to increase modeling fidelity, ``fluency,'' and interactivity. This is accomplished using mathematical principles from differential geometry, constrained optimization, integral equations and piecewise differential equations, as well as physical principles such as the mechanics of solids and the physics of light. The Caltech computer graphics research efforts are led by Alan Barr, Mathieu Desbrun (Applied Geometry Lab), and Peter Schröder (Director, Multi-Res Modeling Group). The Caltech approach to computer graphics research is unique in its mathematical rigor. A common theme throughout our work is an emphasis both on correct underlying mathematical foundations and on careful realization in efficient, robust algorithms. We have been awarded an NSF Large Scientific and Software Data Set Visualization grant to support our work in Multiresolution Visualization Tools for Interactive Analysis of Large-Scale N-Dimensional Datatsets. 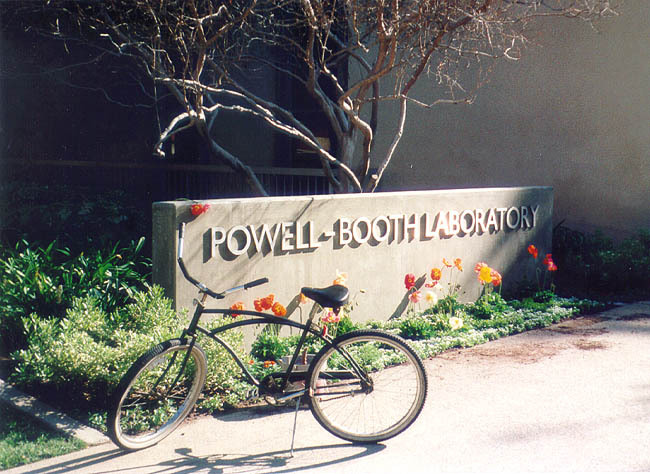 We are part of the Caltech site of the Human Brain Project. The local project is titled Goal Directed Magnetic Resonance Brain Micro-Imaging.